Daily Debate: Did You Like The Trial-And-Error Style Of The Original Zelda? For years, The Legend of Zelda series has always had some linear aspects to its games. The story always pointed you in a specific direction while allowing you to explore as you journeyed. The secrets contained in each game were hinted at or pointed out in one way or another, such as a cracked wall or an out-of-place stone. However, the original Zelda back on the NES had none of that. 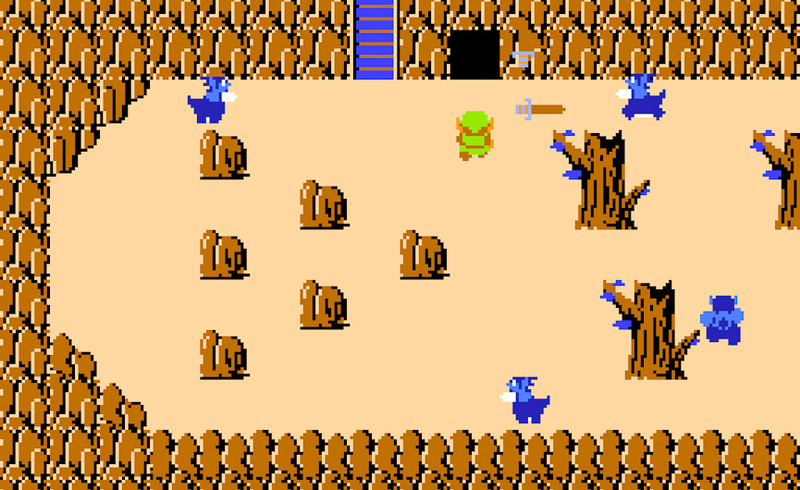 The game placed many dungeons in places that could technically be accessed from the very beginning, even if they were more difficult to reach, and only once entering them did it become clear that you couldn’t always progress. When it came to finding Rupees or Heart Containers, a player had to try to burn every tree on screen or bomb every tile on every wall in hopes of finding a hidden cave, since there were no marks that anything was hidden. In a way, this was a good thing, as too-obvious of hints could completely give secrets away. While this style had the benefit of increasing the difficulty outside of the already challenging combat, it was also tedious. If you ran out of bombs, you’d have to grind to get more, then continue trying in order to find any secrets. And if you didn’t have the Red Candle yet, attempting to burn every bush also meant leaving the screen and returning after using the Blue Candle a single time. So what did you think of this style from the original Legend of Zelda title? Was it enjoyable? Or was it far too much work, if even worth doing? Leave your thoughts and opinions in the comments below!